Sales funnels refer to marketing systems where prospect are lead to become repeat customers. 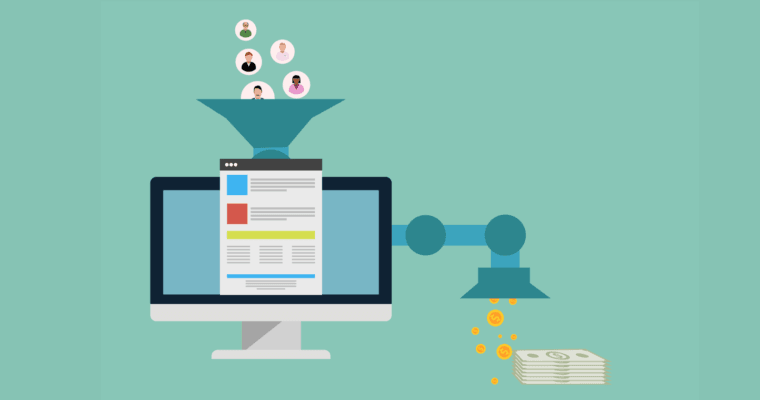 Sales funnel can be used in email marketing or any other online marketing techniques. Just like an ordinary funnel, where it directs say oil into the oil tank, it is the same way sales funnels in the marketing niche work. The main purpose of coming up with the funnels is to have a way which will guide prospects to become regular customers. The marketing systems differ depending on the model which a given company will decide to use. But, basically they involve related processes. They will start from a point where a prospect is made aware of a certain product and steps which will follow in convincing the prospect that a given company is the most suitable till the prospect buys and becomes a regular customer. In this stage prospects are made aware of a solution to a given problem. It involves processes such as blogging where a company will let people know about the services and products which they offer. In this phase for a given company to capture the attention of many prospects, which will increase chances of convincing more, the company should offer useful content about a given product or services which buyers may be interested in buying. In this stage prospects will show interest in a given product or service. They will end up conducting research about the product. This can involve processes such as visiting several pages of a website which offer the information or even contacting the company representatives for more information. In this stage, the number of customer will be less when compared to those who were made aware of the product. The number will reduce as the sales funnel goes down the stages. In this stage prospects will evaluate the company which they are about to access services from. This can involve comparing several competitors who offer the services. If you are carrying out online marketing for your company, you will end up attracting more customers if your services or products will be of more value than those your competitors offer. Most customers at this stage will take into consideration the pricing of the products. If you have priced the products at attractive rates, you will end up attracting more. They will also check on customer satisfaction. If most of your past customers were highly satisfied to an extent where they offered good reviews, then there are high chances you will attract more than your competitors. In this stage a final decision is reached and the parties involved start negotiation. For example, if it was a case of B2B, one of the companies will contact the other for business and they will start negotiation on the best deals between the two of them. It will require the help of highly qualified B2B professional for a given company to come up with the best deal. If you have a company, where you will like to sale services to another, you should have sales representatives who know the strong points of the company. They should let the prospects know the benefits they will enjoy by choosing to do business with your company as opposed to a case where they will decide to do business with another company which is your competitor. This is a stage where goods or services are purchased from your company. A company which is carrying out online marketing at this stage you will feel you have achieved, but it will not end there. You will be required to work hard and make the buyers come back to your store or company each time they will need the same products. You should try and make the buying process as smooth as possible to your customers so that they will always prefer your brand. You can offer after sales services such as free shipping services. The shipping services should be quick so that customers will be more satisfied. In this phase, the customers will have to reevaluate the contract if it is a case of B2B. If your contract will seem beneficial to the customer, then he will readily renew it. There are times when you may sign up a contract with a given company and you deliver all the products and services to their satisfaction. But, with time the supply chain may change and you incur more expenses in the service delivery where you will end up in loses if you will not change the terms of contact. You should explain to the buyer in good time and let him know you still offer the best products and services. If the circumstances will work in your favor, where you will access raw materials at cheaper rates, you can inform the customer of how you will save him money if he will renew the contract. This will make you maintain the customer easily. The sales funnels marketing systems will end at the repurchase phase. Here the customer will become confident with the services offered by your campy and he will keep on repurchasing or renewing your contract. If you are trying to carry out online marketing, you should adopt tools and tactics which will help you optimize each step so that you will end up with more costumers at the repurchasing phase. There are factors which can lead to losing customers along the way, you should identify them and try to fix. Even if a prospect will deny an offer, there are reasons why. You should not leave it at that stage as an online marketer. Try to ask why and explain to the customer so that you will help him or her overcome the fear. From research, about 48 percent of sales representatives never follow up. This leads to losing prospects. Only 10 percent will follow up with more than three contacts. Most sales will close up between 5 and 12th contacts. This implies that the more you follow up, the higher the likelihood you will make more sales. Always try to follow up early enough if you will like to improve your sales. You absolutely need to understand how a sales funnel works, so you can create one for your own business. A sales funnel will apply to any business, Mcdonalds, SEO Consultants, eCommerce…. whatever. They’re always absolutely essential. It’s practically the mathematical process for generating more money, putting money in the top, more money comes out the bottom. Entrepreneur. Marketer. Person. Likes building businesses and creating exciting, challenging, and helpful projects. © The Randolph Organization, LLC. All Rights Reserved.